The younger one is, the easier it is to grasp Braille since you can process information quicker or a young brain essentially works faster. 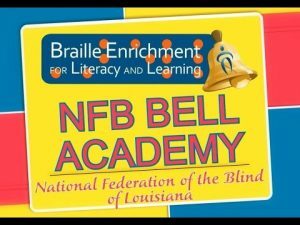 If one becomes visually impaired sooner in life, one can master braille earlier or else it can become tedious to break out of learning through spatial learning rather than auditory methods. One can master Braille if you are finger sensitive. Some people can essentially be more touch sensitive than others. For people who have callously fingers or have worked in fields that might be harmful to the skin, braille might not be as easy. Some people who have just recently lost their eyesight might find it easier to master the skill of braille because they are highly motivated at the time. Others who are not visually impaired or not completely blind might not be able to master it because of their inclination towards visual learning rather than learning through touch because they have a Choice! 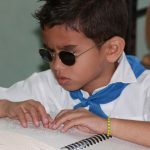 People who have a good memory can master braille because it requires some excellent degree of memorization. If you can’t memorize well then it takes much longer to be thorough. Depending on your preferred processor, you can be better at braille. 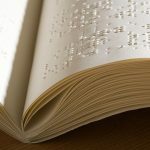 If you prefer spatial codes, then Braille can come more naturally to you but if you are an auditory learner then your processing speed can be much slower and difficult to grasp. Braille is essentially a spatial code of language which takes some brainpower to master. It is a language displayed in an unknown manner.